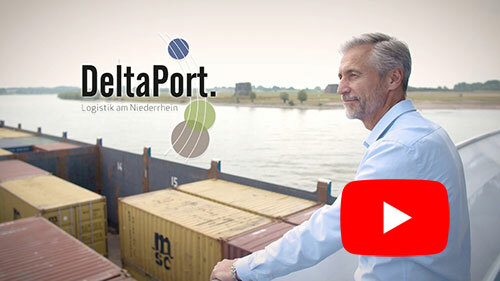 The Port of Emmelsum is a trimodal port where containers and break bulk cargo are handled. The three multimodal cargo handling terminals are run by different operators. Access to the terminals is non-discriminatory. An expansion by 15 hectares in the western portion of the port is in the planning (plot B, see map “Available Areas Port of Emmelsum”). As part of this expansion, the existing quay wall will be extended to make room for one additional berth. 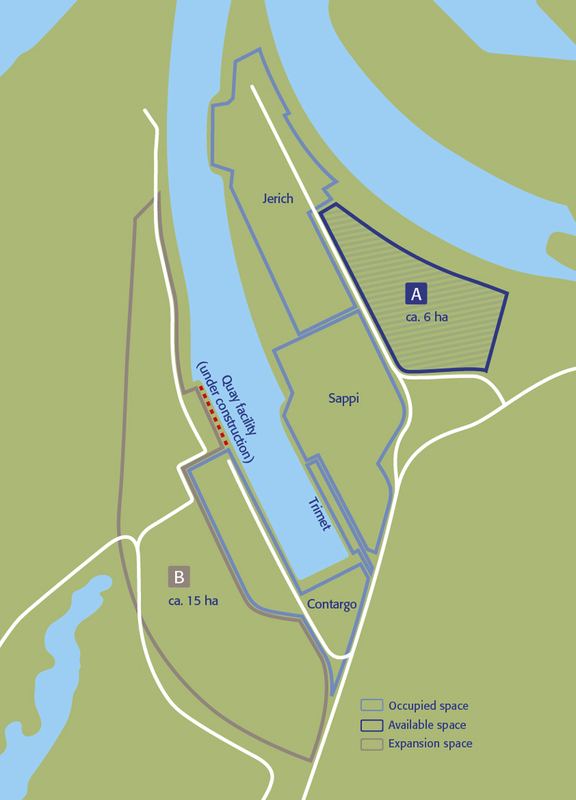 Currently, there is a 6 hectare, floodwater-free plot available for immediate use at the Port of Emmelsum (plot A, see map “Available Areas for Port of Emmelsum”). The plot features its own rail access directly on site. Direct access to the quay facility is ensured.